Across the Church of God movement, large churches are doing some vital, and often incredible, ministries. Often their tremendous successes can seem unattainable to the small church. Balancing multiple jobs, juggling the demands of resources and parishioners, and finding time to squeeze in one more task can seem daunting to the small-church pastor. But God sees. And he’s just as much at work through our small churches. 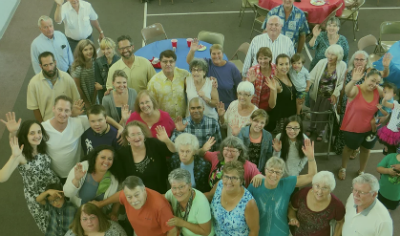 Though they may win more small victories at any given time, churches like Arvada Church of God in Arvada, Colorado, are making a big impact for the kingdom. Sometimes we all just need a good reminder that we’re not alone. Awareness of God’s abiding presence is foundational, but what a relief for the small-church pastor to know there are other small-church pastors, like Arvada’s Ron Olsen, facing the same struggles! First, like countless others in the Church of God, he’s bi-vocational. That can actually be a blessing, but it certainly doesn’t mitigate the challenges of time, balance, and ministry demands. Second, his wife suffers from a full disability, and Ron’s job outside the pastorate is full-time. Third, he says he simply doesn’t feel as young as he used to—but you’d never know from his level of activity! Ron Olsen knows firsthand the difficulties of ministry under such circumstances in the small church. But wait ’til you learn about that major kingdom impact! You’ll often find that small-church pastors have a huge heart. Ron’s servant leadership is apparent in his desire to ensure stewardship of the church’s limited resources—maintaining maximum ministry impact with the money they’re blessed with. You see, it’s possible that Pastor Ron could take a full-time salary. But he knows what God has called him to do, and he knows what he’s not been gifted to do. 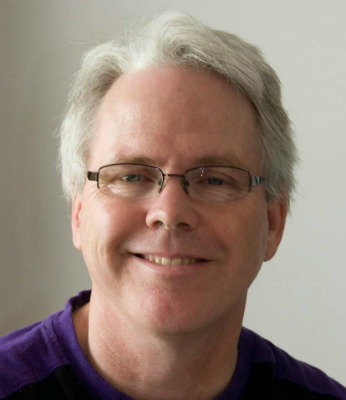 Ron Olsen has discovered the vitality of effective ministry to the present and future generations. He’s sacrificed his own comfort for the kingdom by staffing the church for growth. The lens through which he views his leadership role now has dramatically shifted from what it was when he first entered ministry. After a difficult season of life since then, Ron returned to the pulpit with a much more mission-minded than ever, something he’d gained while sitting in the pew of a thriving church. And with no desire to establish a kingdom for himself, but to advance God’s, he’s already thinking about leadership development and the next generation. Besides an obvious support for children and youth ministry, he has no qualms about acknowledging his own leadership is only a stepping stone in God’s overarching plan. There will be another pastor, a young pastor, who will assume his position one day and will take the Arvada congregation to the next level. It’s not about Ron. Jesus is the subject. Trunk or Treat at Arvada Church of God. Perhaps that’s why Arvada Church of God continues to serve up grace—and aces. 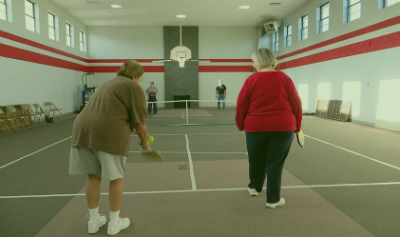 Recreational pickleball, for example, hosted weekly in the church’s gymnasium, has not only enhanced congregational fellowship and fitness, but has also begun to plant seeds of the gospel in the local community. 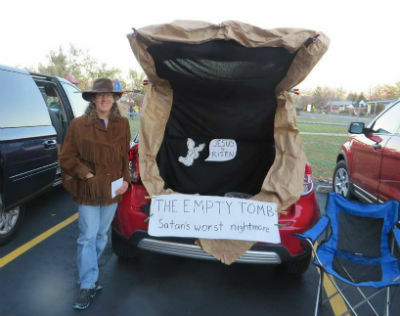 From the homeschooling group that the church blesses with space to meet, to the Trunk or Treat for the community and the hosting of the Colorado Church of God women’s and men’s conferences, Pastor Ron Olsen and Arvada Church of God rejoice over their small, yet really big, victories. In Colorado, across North America, and around the world, God is on the move in the Church of God. Join the movement. Reach our world. Donate today at give.jesusisthesubject.org. This entry was posted in All Church of God, Give Life, Western and tagged Arvada, Arvada Church of God, balance, bi-vocational, bivocational, CO, Colorado, community outreach, hiring, pickleball, Ron Olsen, sacrifice, servant leadership, servanthood, service, small church, staffing. Bookmark the permalink.